Children's at Meridian Mark is a department of Scottish Rite hospital for children and teens. The expert staff at this location offers state-of-the-art care and advanced technology. Parking is available in the garage underneath the building. There is a fee to park. The attendant accepts checks, cash and credit cards. At Children’s Physician Group, our specialists know how diabetes can affect kids’ bodies. They also know how to put kids and families at ease—and how to encourage preventive care and self-management to prevent complications. Our office is located in Suite 420. Clinic visits are by appointment only. Children’s Physician Group–Orthopaedics treats patients with a wide range of orthopaedic conditions and sports-related injuries. From casting broken bones to performing spine surgery, our team understands how to treat the growing bodies of children and young adults. Our office is located in Suite 250. Clinic visits are by appointment only. Located in Suite 200. This location has STARscanner technology available. By appointment only. Monday: 8:30 a.m. to 5:00 p.m. Tuesday to Thursday: 8:00 a.m. to 5:00 p.m. Friday: 8:00 a.m. to 3 p.m.
At the Children’s at Meridian Mark Outpatient Surgery Center, our pediatric surgery team is experienced in caring for the wide variety of medical issues. 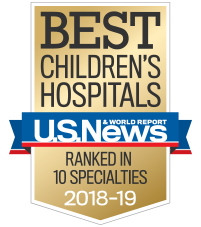 We work with specialists across the Children’s system any time a child needs surgery to provide comprehensive, safe, child-friendly care for all kids of all ages. Our office is located in Suite 340.